B AppSc (Hons: Statistics), QUT. B Bus (Accounting, International Business), QUT. My most recent project was the development of the Australian Cancer Atlas. The output is a publicly accessible , online, interactive map (think Google Earth) showing estimated incidence and relative survival rates for many different types of cancers across Australia at the small area level (SA2s). This was joint work with the Cancer Council Queensland and the QUT Visualisation and eResearch (ViseR) team to combine our expertise in statistical spatial modelling, data visualisation, and UX and UI design. A screen-capture of the atlas is shown below. For more information about the Australian Cancer Atlas, please visit the website: http://atlas.cancer.org.au/. Spatio-temporal modelling to see how patterns of a given cancer change over time. Investigating different measures of survival (e.g. loss of life expectancy). Ecological modelling (adding additional covariates based on area-specific socio-demographics or clinical characteristics). Adding new data sources including estimates for small-area variation in cancer screening. There are also plans to develop a new spatial model and investigate the issue of over- and under-smoothing. Earl is currently working on these research areas. Duncan, E. W. 2017. Bayesian approaches to issues arising in spatial modelling. PhD Thesis, Queensland University of Technology. 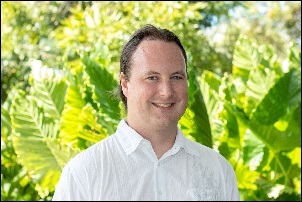 URL: https://eprints.qut.edu.au/112356/1/Earl_Duncan_Thesis.pdf. Mengersen, K., E. Duncan, J. Arbel, C. Alston-Knox, and N. White. 2018. “Chapter 15: Applications in Industry”. In Handbook of Mixture Analysis, Handbooks of Modern Statistical Methods Series, edited by S. Früwirth-Schnatter, G. Celeux, and C. P. Robert. Milton: Chapman & Hall/CRC. Cramb, S. M., E. W. Duncan, K. L. Mengersen, and P. D. Baade. 2018. Australian Cancer Atlas, small-area incidence: technical report. Brisbane: Cancer Council Queensland and Queensland University of Technology (QUT). (Not publicly available). Cramb, S. M., E. W. Duncan, K. L. Mengersen, and P. D. Baade. 2018. Australian Cancer Atlas, small-area survival: technical report. Brisbane: Cancer Council Queensland and Queensland University of Technology (QUT). (Not publicly available). Cramb, S. M., E. W. Duncan, P. D. Baade, and K. L. Mengersen. 2018. Investigation of Bayesian spatial models. Brisbane: Cancer Council Queensland and Queensland University of Technology (QUT). URL: https://eprints.qut.edu.au/115590. Duncan, E. W., N. M. White, and K. Mengersen. 2017. Spatial smoothing in Bayesian models: a comparison of weights matrix specifications and their impact on inference. International Journal of Health Geographics 16 (1): 47. DOI: 10.1186/s12942-017-0120-x. Cramb, S. M., E. W. Duncan, N. M. White, P. D. Baade, and K. L. Mengersen. 2016. Spatial Modelling Methods. Brisbane: Cancer Council Queensland and Queensland University of Technology (QUT). Duncan, E. W., N. M. White, and K. Mengersen. 2016. Bayesian spatiotemporal modelling for identifying unusual and unstable trends in mammography utilisation. BMJ Open 6 (5): p.e010253. DOI: 10.1136/bmjopen-2015-010253. Pokorny, M. R., M. de Rooij, E. Duncan, F. H. Schröder, R. Parkinson, J. O. Barentsz, and L. C. Thompson. 2014. Prospective Study of Diagnostic Accuracy Comparing Prostate Cancer Detection by Transrectal Ultrasound–Guided Biopsy Versus Magnetic Resonance (MR) Imaging with Subsequent MR-guided Biopsy in Men Without Previous Prostate Biopsies. European Urology 66 (1): 22-29. DOI: 10.1016/j.eururo.2014.03.002. Mengersen, K., E. Duncan, S. Cramb et al. “A comparison of Bayesian spatial models for cancer incidence: theory and performance”. In TBA, edited by K. Mengersen, TBA. Forthcoming 2019/2020.